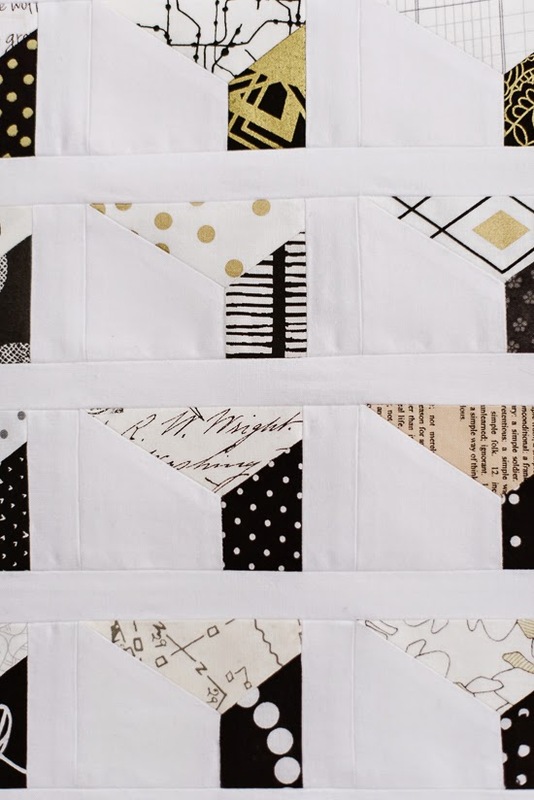 Bijou Lovely: Fantastic Quilt Voyage: Nicke's Quilt. 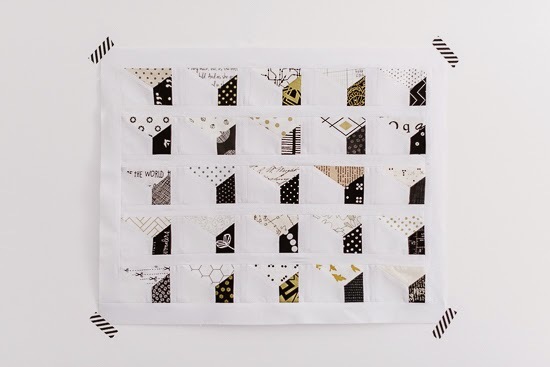 14 Fantastic Quilt Voyage: Nicke's Quilt. Last month was the first round of working on quilt blocks for Fantastic Quilt Voyage, a traveling quilt bee that I am in with some friends. 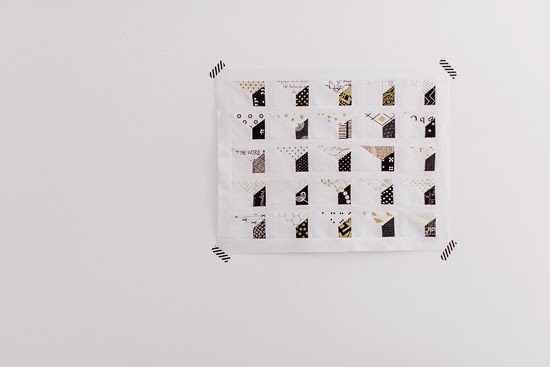 Nicke's quilt came to me first, and she was asking for quiet and calm blocks in black and white with touches of gold. She's a girl after my own heart! I was excited to get started and after looking through her pinterest board, found this pin. I quickly drew a version of the photo up in Illustrator, made freezer paper templates and a test block, cut out my fabric and got sewing! The blocks were tiny and had y-seams so they took a few days to make, but I really enjoyed the process. I was excited for an excuse to add in a few gold fabrics from my stash! I am really happy with how the finished block turned out. I'm tempted to make a whole quilt like this now for myself! I am always reminded that y-seams really aren't that scary when I make something with them! If you haven't tried them yet, you should. Nicke's quilt is going to be so pretty! I can't wait to see it finished. You can follow along with the quilt bee by checking out the #fantasticquiltvoyage hashtag on IG! I'm not a black and white person but my oh my, this is gorgeous !! Also, I'm sorry to be that person but what is that teeny tiny heart print ? I've never seen it and it's SO cute !! (Big oops back there) This is so pretty, and cool to boot! Fantastic creative idea you had! You're so creative! This turned out awesome! I loved seeing the spark for this idea and then how you interpreted it and put it together. I think it's exquisite! 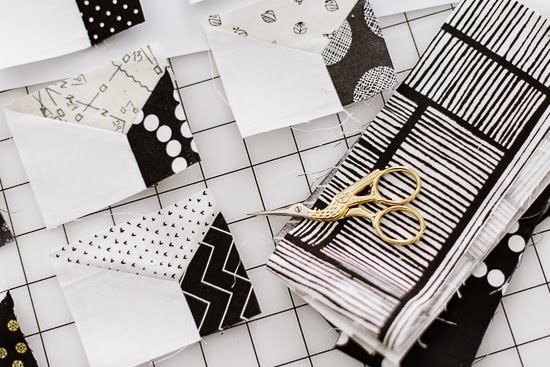 That B&W stripe fabric is unusual. I really cannot get over how awesome this block is! Nicke's quilt will be gorgeous. Yay! 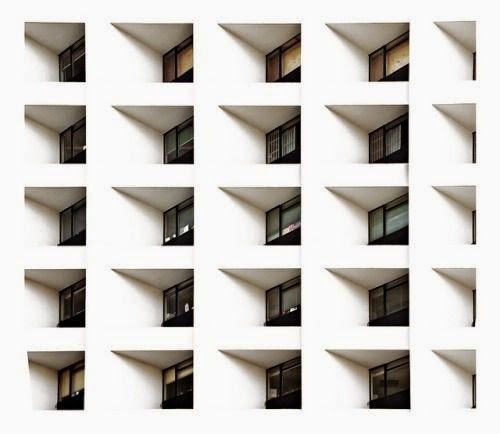 Your block is wonderful. It looks just like the picture. Nicke is going to love it. 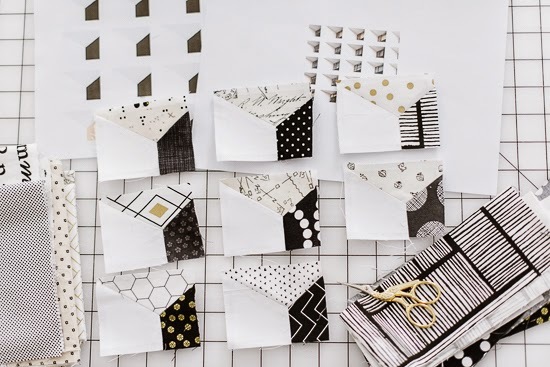 I love the translation of the inspiration photo to quilt block--well done! With your y-seams, do you hand sew them, or machine? I've been wanting to try them, but I'm not sure which method would work best (or be easiest). Thoughts? 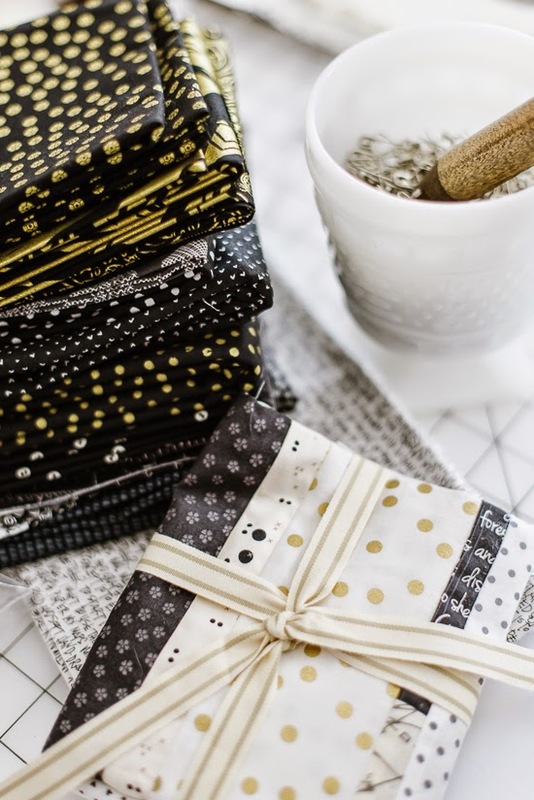 Love reading the story behind a design ... and the fabrics and layout are so cute!